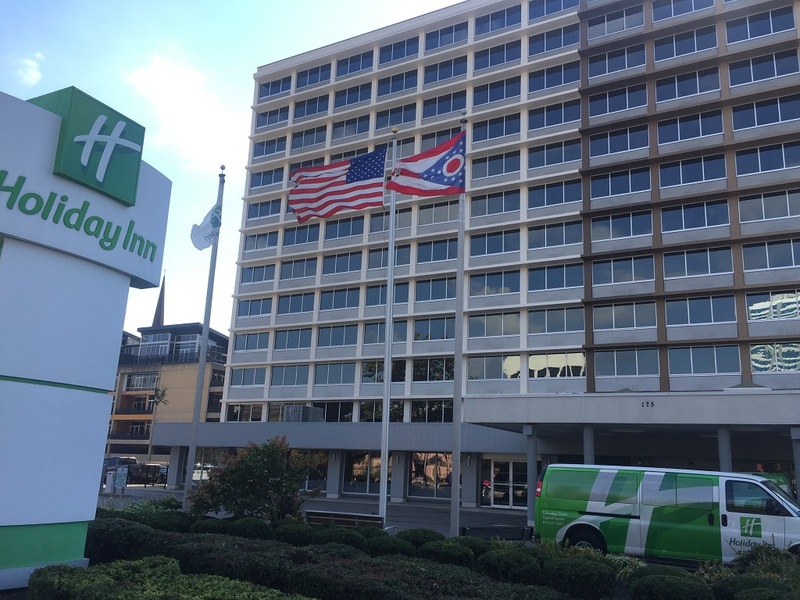 Utmost finalized the exterior concrete and exterior insulated finish system (EIFS) restoration and painting project at the downtown Holiday Inn two weeks ahead of schedule. 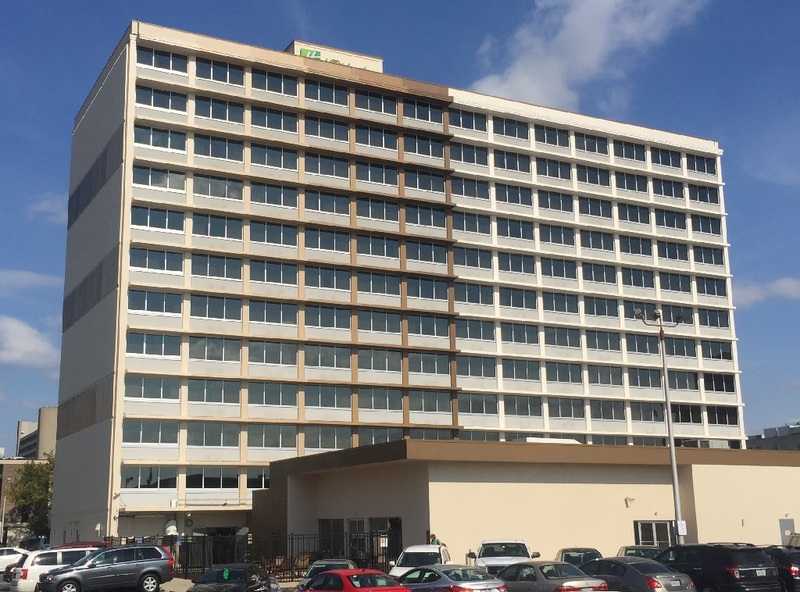 To stay ahead of schedule, two crews cleaned the exterior walls while two more crews followed behind making the necessary repairs to the concrete and EIFS walls using mostly Mapei Planitop XS vertical concrete repair mortar. At the same time they spot-caulked all open, failed or missing caulking in the expansion joints and window perimeters using Tremco Dymonic FC one part urethane sealant which is paintable. 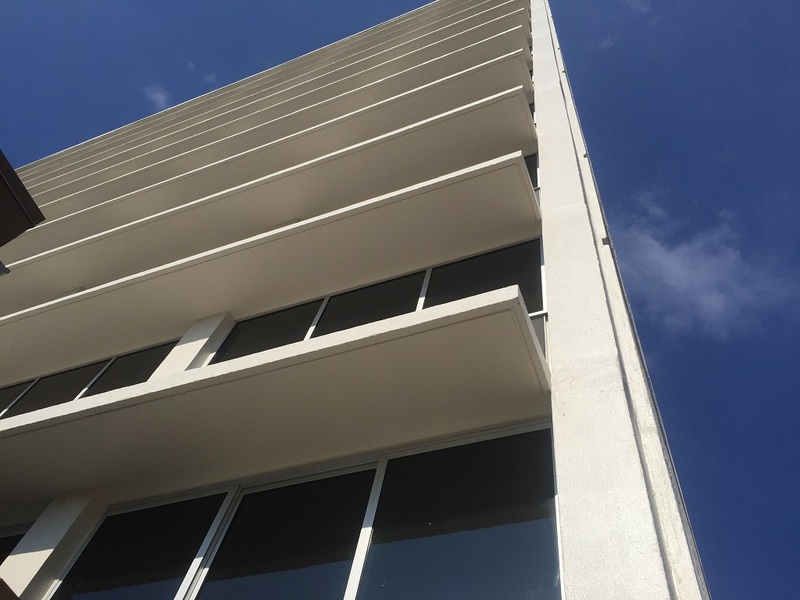 Once the exterior was cleaned and repaired, the crews that cleaned started the exterior priming and painting of the walls using Sherwin Williams Loxon masonry/concrete primer and Super Paint on all vertical surfaces. 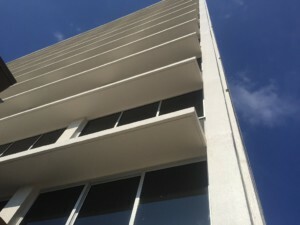 The concrete ledges between floors also required considerable cleaning and preparation applying two coats of a special deck coating to seal them and make them look uniform. Utmost also primed and painted all the metal trim, fascia, and copings on the building using a special metal paint for tin vents on the boliers that withstands high heat on the upper roof of the penthouse. The manager, Tyson, was very pleased with Utmost’s progression of work, open lines of clear communication, final appearance of the product, daily clean up, and wrapping up the project so early. 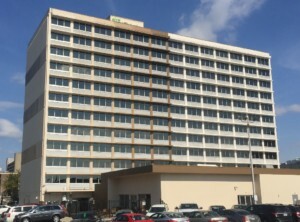 If you need any exterior masonry, stucco, EIFS, or concrete restoration and/or painting on your commerical building contact Utmost for a superior quality project done in a timely manner at a very reasonable price and, typically, ahead of schedule.